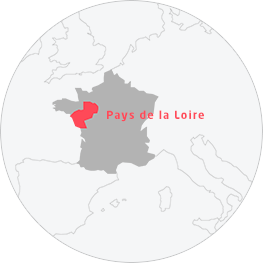 Blue and green reign supreme in Pays de la Loire. Here, the rivers, valleys and nature form the ideal setting for a countryside getaway. If you're looking for a peaceful break and love slow tourism, the search stops here: you've found your next holiday destination. All that's left to decide is the dominant colour of your stay: blue or green? Fontenay-le-Comte: the jewel of the Vendée! Walk in a farmer's boots!